Mahindra-owned Italian design house Pininfarina has announced plans of building a line-up of high-end electric vehicles under its own brand. The first car to be built will be a Bugatti Chiron-rivalling electric hypercar codenamed the PF-Zero. 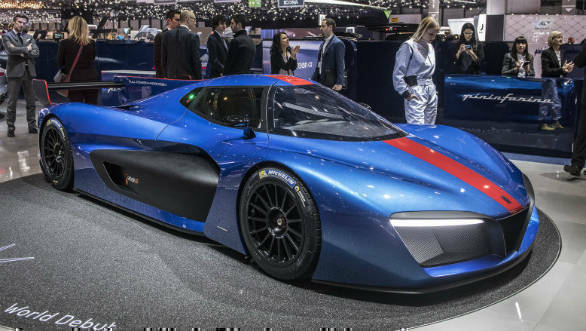 Aiding Pininfarina in this project will be the Croatian electric hypercar maker Rimac Automobili as well as the Mahindra Racing Formula E team. The 1,500PS PF-Zero will be limited to 20 units and should debut by 2020. Variations of the modular platform that will underpin the hypercar will also be the base for three more all-electric SUVs that will compete with the likes of the Lamborghini Urus, Porsche Cayenne and Porsche Macan. Mahindra will provide the first $100 million (Rs. 651 crore) needed to fund the project. The remaining $400 million needed over the course of the development of the SUVs will be raised via strategic partners. A formal announcement of this plan is expected to be made at the first race of the Formula E season in Rome, on April 14. Established in 1930, Pininfarina has been under Mahindra ownership since 2015. The company started off as a coachbuilder but is best known for its long-standing relationship with Ferrari, designing its cars. The company has also worked with firms like Alfa Romeo, Fiat, Lancia, Rolls-Royce, Volvo, and Cadillac. At the 2018 Geneva Motor Show, Pininfarina displayed its first self-branded car, the H2 Speed hydrogen fuel cell supercar with 656PS (in picture). This track-only supercar will be limited to a production run of 13-units.